So just to help this is a good diagram of the different keigo. 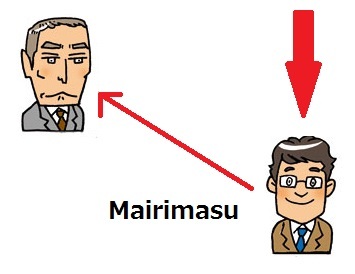 Believe it or not the ます form of the verbs you learn is a form of keigo which is used between equals (marked as “fair” in the diagram. This is also called teineigo). When you use this it it with a stranger and you don’t know their social standing, or someone on the same level as you (ie age, rank in a job etc). Sonkeigo is used to elevate the person you are talking to, and Kenjogo is used to push yourself down. Sonkeigo and Kenjogo are used together, you wouldn’t mix these with other forms of keigo. Kenjougo (also known as “humble Japanese”) is, like sonkeigo, always used when you are talking to someone higher ranking than you (boss, sempai, customer, teacher), but is used when you are talking about some you did/do/are going to do. As mentioned every other verb where you are referring to yourself you use the stem form (ます with the ます taken off i.e ききます －＞ きき) and turn it into お Vます します. I know I said I wouldn’t list just vocabulary but these are good to learn before you try to jump into practising using them in sentences. Below are some situations with these words used in a phrase in the context of a situation. As mentioned they are only used when talking about the person who is higher up than you, and when you are talking to them or to someone else (about yourself). The kenjougo is highlighted. Besides practising these think up some of your own sentences you might use when talking to a boss or someone you don’t know and check with people on Lang-8 to see if it’s correct or not. If you have a one-to-one Japanese teacher it really helps to practice conversations with them in keigo. You: _____と申しますが、_____はいらっしゃいますか。= My name is_____, is______ there? Receptionist: はい、おります。お待ちください。 = Yes, they are here. Please wait. You: 先日お電話しました____です。= This is _____, I called the other day. You notice how the person says “おります” for the person you are trying to get in contact with. The person you are calling is a higher status than yourself but they are part of the company the receptionist is representing. The receptionist uses おります (kenjougo) instead of いらっしゃいます (sonkeigo) because she is humbling the company in relation to you, the outsider/customer. Often when a person within a company is talking about someone in that company to a person outside the company they will refer to that person in humble form and might even remove all name endings like さん. But when you are referring directly to people in your company such as co-workers or your boss you use sonkeigo when you talk about them (as described in the sonkeigo post you use different sonkeigo between your boss and your co-workers). できれば、　のご都合のよい日に変更させていただけないでしょうか = If possible, would you allow me to change the day to a more convenient time? ありがとうございます。本当に申し訳ありませんでした。= Thank you very much. I am sorry for troubling you. When you say someone is doing something for you, or asking if they will allow you to do something, in a regular conversation with a friend you would use てform with くれます, but, as you can see above, because you are using keigo and referring to yourself you change this to いだだきます. Use when talking about yourself when talking to people higher up than you. You are a foreigner and Japanese people will understand if you make a few mistakes (even Japanese people don’t know how to use keigo properly sometimes). So don’t be too worried about getting everything perfect. If you can find a Japanese person to practice with (like a teacher) then great. It’s also good to learn to recognise these so you can understand when staff are talking to you and asking you questions. Tagged Business Japanese, Keigo, Kenjogo.